Explore Costa Rica's natural wonders and cruise the mighty locks and waterways of the Panama Canal during a day-time transit, plus meet with scientists at the Smithsonian Tropical Research Institute. Other travelers had similar interests and enthusiasm for the Central American landscape and Panama Canal, which made the trip all the more a pleasure. The signature architecture of Panama City was a real eye-opener, especially after the excellent lecture prepared us for it. One of the top-rated hotels in Central America, the hacienda-style Costa Rica Marriott Hacienda Belen is set on a 30-acre coffee plantation. Modern amenities include a full-service spa, fitness center, and a pool. 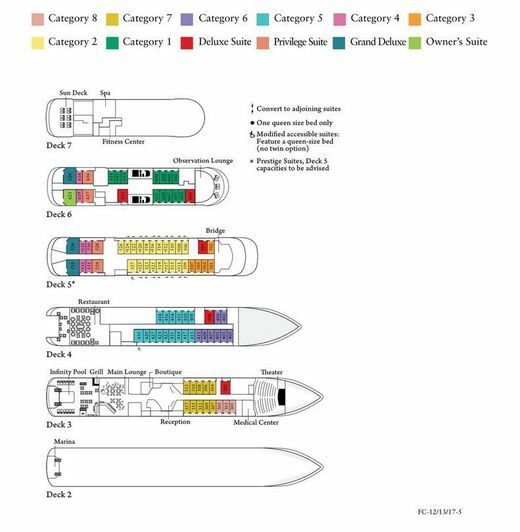 Expectations: Ocean-going ship requires using smaller boat conveyances to get to shore for excursions, although the ship may also pull into a pier for embarkation and disembarkation. This is an expedition-type cruise that involves excursions by small boats and wet shore landings by rubber Zodiac boats (i.e. step from the Zodiac directly into ankle-high water). Travelers must be able to negotiate a steep gangway and get in and out of the Zodiacs with minimal assistance. Excursions will be at an active pace during the mornings and afternoons. Some standing and walking for periods of time (up to one and a half hours) during outdoor activities and tours and nature walks. Walking two to three miles will be over sometimes difficult terrain, such as uneven/slippery walking trails in rain forests. Opportunities for swimming and snorkeling are offered during the cruise. Be aware that you will experience hot temperatures (over 80 degrees), high humidity, and strong sun due to the proximity to the equator. Wildlife observation requires time spent on small excursion boats that do not provide shade or protection from the strong tropical sun. Experience a medley of Costa Rica’s diverse biospheres, where a 9,000-foot-tall volcano cradles an emerald green lagoon deep within a mile-wide crater and misty cloud forests shelter a dazzling array of flora and fauna. Explore the distinctive layers of the lush Arenal rainforest along a series of suspended and fixed bridges. Enjoy a soothing soak in secluded geothermal hot springs. Tour historic San José, an organic chocolate workshop and an award-winning coffee estate. Accommodations are for two nights in the ideally located Hotel Royal Corin** and two nights in the hacienda-style Costa Rica Marriott - San José. **Those on the February 19-27 departure will stay at the Tabacon Thermal Resort & Spa. The perfect complement to Panama’s man-made wonder and “the crossroads of the Americas” is an exploration of old and new Panama. Visit the World Heritage-designated Panama Viejo to see the ruins of the oldest European settlement on the Pacific coast of the American continents and enjoy an architectural tour featuring modern Panama City. Cruise on the Gatún River through the rainforest to encounter Panama’s indigenous Embera people. Accommodations for two nights are in the ideally located, deluxe Bristol Hotel Panama. *Pre‑program pricing includes a credit for the cost of one of the two nights’ accommodations in San José and the San José city tour as these features are already included in the cost of your main program. Pre- and Post-Program options are available at additional cost. Details will be provided with your reservation confirmation. Launching in 2019, Le Dumont d'Urville is among a new fleet of luxury expedition ships launched by the Ponant cruise line. These ships combine revolutionary design and a new standard of luxury. Each of the 92 elegant suites and staterooms features a private balcony, while Grand Deluxe Suites have a bay window and spacious private terrace. The deluxe, air-conditioned staterooms and suites (up to 484 square feet) have two twin beds that convert to one queen-size bed. Each cabin has a private bathroom with shower (bathtub in limited number of staterooms) and the luxurious amenities of a fine hotel, including individual climate control, satellite flat screen television, wireless Internet access, safe, minibar, full-length closet, writing desk/dressing table, and plush robes. International and regional cuisine are served in the stylish, spacious indoor-outdoor restaurant in a single, unassigned seating; at the casual pool deck grill; or from 24-hour room service. Continental and buffet breakfast, buffet lunch, afternoon tea, and a four-course dinner are served daily. Wine is served at your table during lunch and dinner and complimentary alcoholic and non-alcoholic beverages are included throughout the cruise. The warm and inviting public areas accommodate all passengers comfortably. Enjoy sweeping views from the Observation Lounge and Main Lounge, both of which open to the outdoors, and lectures, cultural performances, or film screenings in the state-of-the-art theater. For your convenience, Wi-Fi is available throughout the ship. The ship also features the first luxury underwater observatory, the Blue Eye, a multisensory underwater observation lounge that incorporates decor and technology to immerse you in the beauty of the ocean's ecosystem. Here, you can observe fascinating marine life through the large subaquatic windows while digital screens and the specially designed global listening system relay the sights and sounds beneath the ocean surface. Other amenities aboard ship are a Sun Deck, swimming pool, beauty salon, spa and sauna, fitness room, and two elevators. In addition, there is a three-level marina platform with complimentary kayaking and snorkeling equipment, as well as 10 easily accessible Zodiacs. The highly trained, English-speaking international crew are personable and attentive, and the ship has an infirmary staffed with a doctor and nurse. The newest additions to a fleet that has been awarded the prestigious "Clean Ship" designation, a rarity among ocean-cruising vessels, these expedition ships are designd with energy efficient, advanced eco-friendly features that protect fragile marine ecosystems while provideing a safe and comfortable voyage. A Zona Tropical Publication"The words 'tropical rainforest' may conjure up vistas populated by jaguars, brilliant macaws, and flowers amid the grandeur of towering buttressed trees. But the eager, expectant visitor is not regaled with the sight of charismatic vertebrates, gaudy birds, and luminous orchids. In the rainforest, close encounters with life that moves are usually rare but brilliant episodes; one is bedazzled for an instant and then left alone in the quiet greenery. Under such conditions, one must see the episode as part of a process; tracing the connections between organisms is the essence of rainforest appreciation. "―Nature of the RainforestNature of the Rainforest is a breathtaking tour of an environment that is the pinnacle of biodiversity and evolutionary sophistication by an award-winning author and two photographers who love the rainforest, understand its intricacies, and have spent considerable time there documenting its wildlife and complexity. 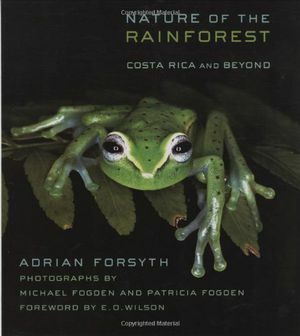 Adrian Forsyth draws on four decades of personal encounters with the animals of the rainforest―including poison-dart frogs, three-toed sloths, bushmasters, and umbrellabirds―as a starting point to communicate key ecological topics such as biodiversity, coevolution, rarity, chemical defense, nutrient cycling, and camouflage. The luminous photographs capture stunning and rare creatures in action, including the now- extinct golden toad mating, a jaguar on the prowl, and the hermit hummingbird feeding. The behaviors and characteristics of the rainforest inhabitants featured here not only illustrate the text but also advance the scientific narrative and exemplify the critical importance of conservation. 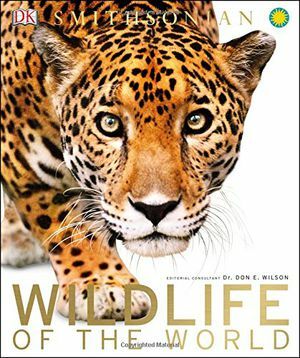 Thematic chapters are interspersed with four chapters devoted to specific habitats and regions of Costa Rica and Peru, areas with some of the most diverse arrays of plant and animal species in the world. The result is an exuberant celebration of the rainforest in text and images. This full-color field guide is an indispensable companion to the most popular neotropical ecotourism destination: Costa Rica. 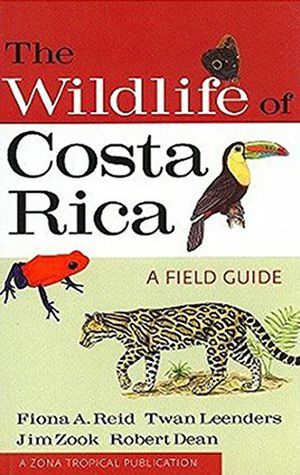 Featuring all the mammals, birds, reptiles, amphibians, and arthropods that one is likely to see on a trip to the rainforest (as well as those secretive creatures such as the jaguar that are difficult to glimpse), The Wildlife of Costa Rica is the guide to have when encountering trogons, tapirs, and tarantulas.In addition to providing details for identifying animals along with interesting facts about their natural history, this guide offers tips for seeing them in the wild. Costa Rica, a peaceful nation with many and diverse animal species, is one of the best places in the world for wildlife watching and nature study. It has an excellent system of national parks and reserves, a wide choice of ecolodges, and many professionally trained tourist guides. It is possible to leave the capital city of San José and, just a few hours later, visit a high-elevation cloud forest, dense rainforest, savanna-like plain, or coastal habitat, each with a unique collection of animal species.This new lightweight field guide provides nature enthusiasts visiting Costa Rica with the best introduction to the country's amazing diversity of wildlife. It is the first general field guide to Costa Rica to combine the most sought-after features:•treatment of all major phyla in the country;•coverage of the animals most likely and most desirable to be seen;•more than 600 detailed illustrations integrated with the text (the preferred method of animal identification in the wild);•full species accounts including ID points, range and habitat, size, and behaviors;•a wealth of natural history information, including more than 20 photographic natural history features; and•tips for seeing animals. This is the first interpretive history of Central America by a Central American historian to be published in English. Anyone with an interest in current events in the region will find here an insightful and well-written guide to the history of its five national states—Guatemala, Honduras, El Salvador, Nicaragua, and Costa Rica. Traces of a common past invite us to make generalizations about the region, even to posit the idea of a Central American nation. 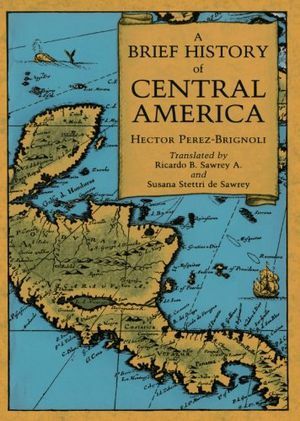 But, as Hector Perez-Brignoli shows us, we can learn more from a comparative approach that establishes both the points of convergence and the separate paths taken by the five different countries of Central America.The author offers a concise overview of the region's history from the sixteenth century to the present, beginning with human and cultural geography in the first chapter and ending with the present crisis in the last. He deals with the fundamental themes and problems of the area: the characteristics of the colonial heritage, independence and the crisis of the Federal Republic, the formation of nation-states during the nineteenth century, and the development of export agriculture based on coffee and bananas. The narrative moves finally into the twentieth century to look at the growing impoverishment that multiplies inequalities and leads to the shipwreck of liberal democracy. The case of Costa Rica, exceptional in more ways than one, receives special attention. 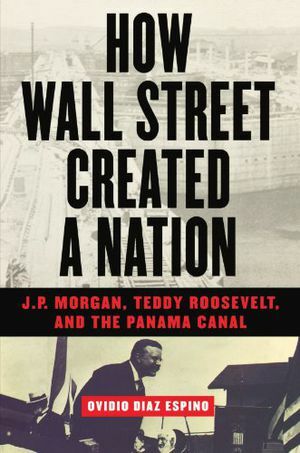 This book tells a previously untold story of decades of financial speculation, fraud, and international conspiracy that led to the creation of the Panama Canal. 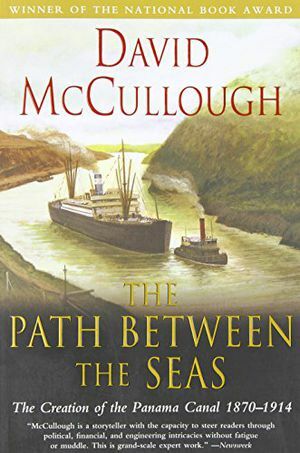 The author meticulously details the dark alliance — among a French company; Teddy Roosevelt with his gunboat diplomacy; and a secretive syndicate of Wall Street financiers — that masterminded a coup in Colombia and the secession of Panama in 1903. 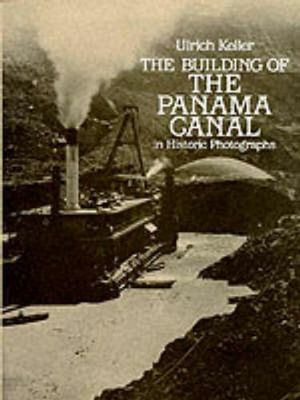 Panama then welcomed the canal building, and the U.S. foreign policy precedent was set for the 20th century. How Wall Street Created a Nation includes historical photographs and is a fascinating telling of this scandalous true story. In 1889 the Compagnie Universelle du Canal Interocéanique declared bankruptcy. The French firm's optimistic and ill-planned attempt to construct a canal across the Isthmus of Panama had resulted in the death of 22,000 workers (most from yellow fever, typhoid fever, and malaria); the complete loss of one and a half billion francs for the company's 800,000 shareholders; and the bitter failure of Chief Engineer Ferdinand de Lesseps — the man responsible for the Suez Canal.On August 15, 1914, the S.S. Ancon took nine hours and forty minutes to traverse the lock-and-lake waterway linking the Atlantic and Pacific Oceans. What occurred in the quarter century between 1889 and 1914 is a larger-than-life true story of adventure, revolution, ordeal, and accomplishment: the building of the Panama Canal — perhaps the greatest engineering marvel of the early twentieth century.In 164 magnificent historic photographs and a well-researched text, noted photohistorian Ulrich Keller tells the compelling story of this hitherto unparalleled technological achievement. Selected from an archive of over 10,000 images amassed by Ernest Hallen (Official Photographer of the Isthmian Canal Commission), these historic prints document the Canal's construction and its way of life: 450 miles of railroad; housing for 60,000 based on a caste system; the exotic settings; tremendous hardships and health risks; leisure activities; the Canal Zone's internal government, administration and policing; dredging operations, including spectacular movements of earth and water; unheard-of engineering feats and disastrous failures; and finally, victory!Photographers, historians, engineers, and tudents of industry and technology will immediately recognize this volume as an important primary source of industrial archaeology. Photography enthusiasts and lovers of true adventure will delight in the vibrant, you-are-there sensation imparted by the photos and Ulrich Keller's exceptionally informed text and meticulous captions. The Building of the Panama Canal in Historic Photographs takes the reader back to a different era, and one of the proudest episodes in what the author calls "the 'heroic' age of industry." 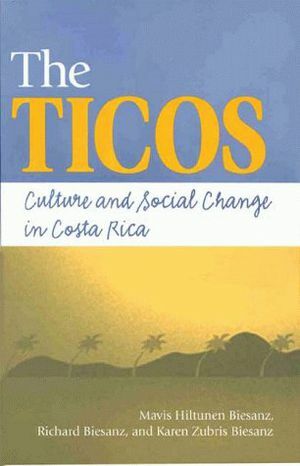 Written with the perspective of more than half a century of first-hand observation, this unparalleled social and cultural history describes how Costa Rica's economy, government, education and health-care systems, family structures, religion, and other institutions have evolved, and how this evolution has affectedCand reflectedCpeople's daily lives, beliefs, and their values. The authors are particularly concerned with change and continuity since the economic crisis of the early 1980s and the structural adjustment that followed. Providing a comprehensive introduction to a country they know well, the Biesanzes also contribute astutely to an understanding of the reciprocal influence of structural adjustment and national culture. Journey into the Costa Rican imagination through twenty-six remarkable stories, selected and organized regionally for the curious traveler. 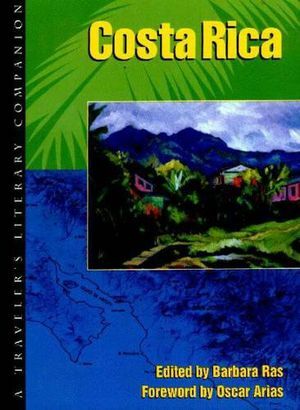 Here, for the first time in English, the best of Costa Rica's writers conjure the country's allure and vitality, its coffee fields and palm groves, cicadas and songbirds, shrouded mountains and blazing savannas, while telling stories unique to Costa Rican life. Contributors include Alfredo Aguilar, Fernando Durán Ayanegui, Alfonso Chase, Quince Duncan, Fabián Dobles, Louis Ducoudray, Carlos Luis Fallas, Mario Gonzáles Feo, Joaquín Gutiérrez, Carlos Salazar Herrera, Max Jiménez, Carmen Lyra, Carmen Naranjo, Yolanda Oreamuno, Abel Pacheco, Julieta Pinto, Uriel Quesada, Samuel Rovinski, José León Sánchez, and Rima de Vallbona. Wildlife of the World takes you on a journey through some of the most scenic and rich animal habitats — from the Amazon rain forests to the Himalayas, the Sahara to the South Pole — meeting the most important animals in each ecosystem along the way.In Wildlife of the World truly spectacular portrait-style photography brings you "face-to-face" with individual animals in up-close and engrossing profiles on how the animals interact with their environments, mate, survive, and even play.From the shaggy musk ox foraging in the Canadian high arctic to the angered Scottish wildcat prowling the Highlands to the rock-climbing gelada monkey of Ethiopia, each animal featured in Wildlife of the World plays a key role in its environment. 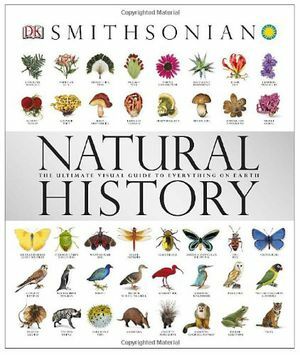 An additional eighty-page illustrated reference section on the animal kingdom explains the animal groups and profiles additional species.Produced in association with the Smithsonian Institution. Central America is a fascinating evolutionary artifact. 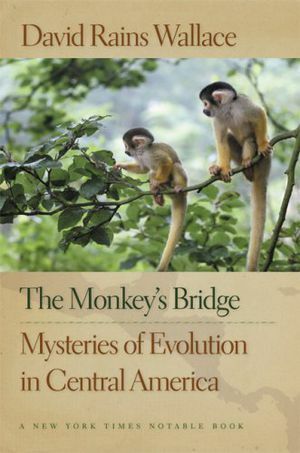 Three million years ago, the Panama land bridge emerged as a link between what is now North and South America, and as flora and fauna traversed this great bridge between worlds, they cross-fertilized extensively and one of the Earth's most rich and varied environments developed. The Monkey's Bridge is the story of this extraordinary environment. The culmination of ten years of research and travel, the book combines a vibrant travelogue with personal insights on the landscapes, cultures, and ecosystems of Central America. David Rains Wallace creates an astounding portrait of a captivating part of the world. 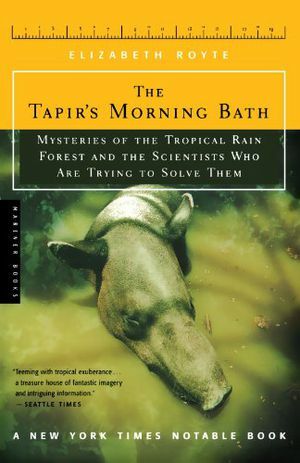 An engaging portrait of a community of biologists, The Tapir's Morning Bath is a behind-the-scenes account of life at a tropical research station that "conveys the uncertainties, frustrations, and joys of [scientific] field work" (Science). On Panama's Barro Colorado Island, Elizabeth Royte works alongside the scientists -- counting seeds, sorting insects, collecting monkey dung, radiotracking fruit bats -- as they struggle to parse the intricate workings of the tropical rain forest. While showing the human side of the scientists at work, Royte explores the tensions between the slow pace of basic research and the reality of a world that may not have time to wait for answers. The Travellers' Wildlife Guides are aimed at environmentally conscious travellers for whom some of the best parts of any trip are glimpses of wildlife in natural settings. The purpose of this series is to enhance enjoyment of a trip and enrich wildlife sightings by providing identifying information on the most frequently encountered animals in each of the represented countries. With stunning color illustrations and photographs of amphibians, reptiles, mammals, and birds, this series is unique in that it aims to aid the visitor in identifying all types of vertebrate land animals while providing current information on the conservation statuses of the animals. Not only for travellers, the Travellers' Wildlife Guides are for all those fascinated by wildlife and concerned about our environment. Most travellers to Costa Rica want to experience its lush tropical forests and catch glimpses of exotic wildlife; toucans and parrots, hummingbirds and hawks, monkeys and big cats, frogs and toads, crocodiles, and (yes) snakes. Here is all the information you will need to find, identify and learn about Costa Rica's magnificent wildlife. --Identification, distribution, and conservation information on Costa Rica's frequently spotted animals. --Full-color illustrations of nearly 350 of Costa Rica's most common amphibians, reptiles, birds, and mammals. --Up-to-date information on the ecology, behavior, and conservation of the families of animals to which the pictured species belong. --Information on habitats and on the most common plants you will encounter. --Brief descriptions of Costa Rica's most frequently visited parks and reserves. --Information on ecotourism in general and on conservation in Costa Rica. Easy-to-carry, entertainingly written, beautifully illustrated-you will want to have this book as constant companion on your journey. One of the richest ecosystems on Earth, Costa Rica is home to over 500,000 species of animals (mostly insects). The Jesus Christ lizard (a basilisk that can run on water) is one of thousands of species of animals inhabiting the diverse ecosystems found throughout the region. This beautifully illustrated guide highlights over 140 familiar and unique species of mammals, birds, reptiles, amphibians and butterflies. This convenient laminated guide is an ideal, portable source of practical information and ideal for field use by naturalists of all ages. Made in the USA. Slip this laminated foldup pocket guide into your backpack or front pocket. Folded, it is only 3.5" (9cm) by 8.75" (22cm). When spread flat it is approx. 24" (61cm) by 8.75" (22 cm). You get twelve 9cm by 22cm "pages" of critters plus front and back cover pages. The guide contains beautifully illustrated, detailed scientific accurate illustrations of the Mammals, Reptiles, Amphibians, and Birds that you will see on your travels in Panama. Slips into your pocket so its handy when you need it. Illustrations of mammals, reptiles, and amphibians are by Mark Wainwright. Robert Dean illustrated the birds. Both Robert and Mark are British naturalists who have lived in Central American since the early 90s. 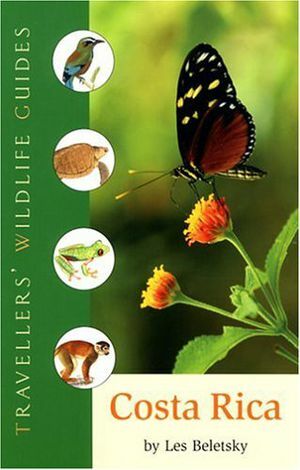 Rainforest Publications' Panama General Wildlife Guide is highly portable, waterproof, full color, and scientifically reviewed.... Critters are identified in English, Spanish, and Latin. Our wildlife guides are the perfect companion if you're a naturalist, critter watcher, or adventure traveler. 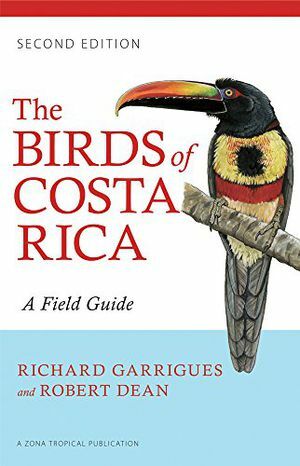 This is the one compact, portable, and user-friendly field guide the novice or experienced birder needs to identify birds in the field in the diverse habitats found in Costa Rica. It features descriptions and illustrations of all 903 species definitely known from Costa Rica, including pelagics and species regular to Cocos Island. Fifty-six of these species are placed in a "Rarities" section that includes accidentals, rarer pelagics, and species that have not been reported in more than twenty years.The detailed full-color illustrations show identifying features―including plumage differences among males, females, and juveniles―and views of birds in flight wherever pertinent.Robert Dean has supplied more than 360 new illustrations, including sixty-four species that are illustrated for the first time in this edition. These include recent additions to the country list, pelagic species, Cocos Island species, and all accidentals recorded from the Costa Rican mainland. Range maps and nomenclature have been updated for this edition, which also has a new user-friendly organizational scheme and an alphabetical quick-find index of groups on the inside back cover. The isthmus of Panama, where North and South America meet, hosts more bird species than all of North America. More accessible than ever to birdwatchers and other ecotourists, the country has become a premier neotropical birding and nature tourism destination in recent years. The Birds of Panama will be an essential tool for the new generation of birders traveling in search of Panama's spectacular avifauna. This user-friendly, portable, and affordable identification guide features:•large color illustrations of more than 900 species;•the first range maps published to show the distribution of Panama's birds;•concise text that describes field marks for identification, as well as habitat, behavior, and vocalizations;•range maps and species accounts face illustration pages for quick, easy reference;•the inclusion of North American migrants and seabirds, as well as female and juvenile plumage variations;•an up-to-date species list for the country that reflects recent additions, taxonomic splits, and other changes in classification.Panama's unique geography, small size, and varied habitats make it possible to see a vast diversity of birds within a short time. Its western and central areas harbor representatives of species found in Central America; species characteristic of South America may be found in the east. In the winter, birds from northern climes are commonly found in Panama as migrants. 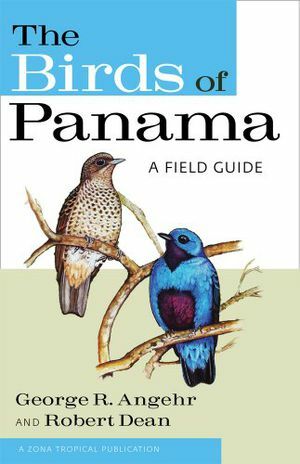 This is the one field guide the novice or experienced birder needs to identify birds in the field in Panama's diverse habitats. Ranging from miniature epiphytic orchids to towering trees, and from mangrove forests lining coastal waterways to high-elevation cloud forests, Costa Rica's rich and varied flora dazzles visitors and botanists alike. Tropical Plants of Costa Rica, the first popular treatment to include plants from all regions of the country, is an indispensable guide to native and exotic species found in the neotropics.This book is beautifully illustrated with more than 540 full-color photographs taken in the field, each depicting an entire plant or a closer view of flowers, fruits, or seeds. Instructive pen-and-ink drawings of botanical details also accompany many of the accounts. The text clearly explains each plant's identifying characteristics and reveals fascinating facts about its natural history, chemical properties, economic importance, and medicinal and other uses. Sidebar features throughout the book highlight conservation, ethnobotany, and ecology; their topics include unusual applications for plants, distinct attributes of certain plant families, and plants of particular microhabitats. 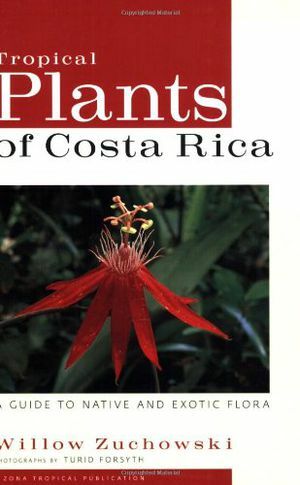 Tropical Plants of Costa Rica is a wonderful resource for naturalists, students, and researchers, as well as both experienced and first-time visitors to Costa Rica and the American tropics. All accommodations (based on double occupancy), One-night in hacienda-style Costa Rica Marriott Hacienda Belen, and Seven nights on LE DUMONT D’URVILLE from Puerta Caldera to Colon. 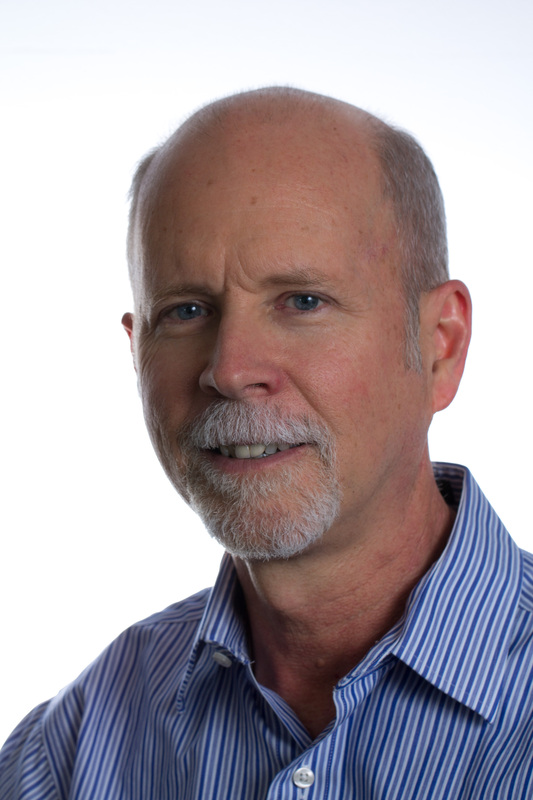 The expertise of a Smithsonian Journeys Expert, Travel Director(s), and local guides throughout the tour. Alcoholic and non-alcoholic beverages throughout the cruise. Complimentary Wi-Fi access on the ship (conditions permitting). Gratuities to expert, travel director, hotel staff, local guides, and drivers. Expenses incurred by our tour operators in making travel arrangements in conjunction with the tour. Airline baggage and other airline fees and associated taxes, unless noted in the tour description. Communication Charges (e.g. phone, Internet access, etc.) unless otherwise specified. Port dues and embarkation fees. To submit a request for a reservation, please order using our secure online process, or please call 855-330-1542 to speak with a Cultural Travel Specialist, Mon-Fri 9 am – 7 pm; Sat 9 am – 4 pm (Eastern Time). Deposit of $1,000 (cruise tours) per person, per tour, payable by check or major credit card, to the tour operator is required to reserve a space on a tour. Deposits are applied to payment of the program price. For additional information, please call 855-330-1542 to speak with a Cultural Travel Specialist, Mon-Fri 9 am – 7 pm; Sat 9 am – 4 pm (Eastern Time) or visit www.SmithsonianJourneys.org/Contact. Per person cancellation fees are based on the date of notice to Smithsonian Journeys. Cancellation after 7 days of booking: $1,000 retained; $200 pre/post cruise optional extension.